You will see in the photos to left and below that work performed by D.J. Wisor & Sons of West Decatur is done with a who cares just get our work done attitude. Photo with red arrows was an existing drainage line that should have been replaced. It would go directly underneath the sewer line that you see towards bottom of picture. The drain line being broken is acceptable as there are many buried lines and you can't expect a contractor to know of all of them. Shown existing drain line (red arrows) broken during installation of the sewer lateral line with no effort made to repair. It was simply left broken and backfilled. Where the problem is that once discovered you can see no attempt whatsoever was made to repair the drainage line. The busted pieces of pipe were just pushed off to the side of the ditch and the elbow piece you can see was just cut off and left. So they knew they had broken a pipe. No attempt at all was made to correct this. Top priority is to get that sewer lateral in and screw the landowner who will utlimately bear the cost of repairing years down the road. After all this work was done in the summertime when everything was nice and dry. The result of this broken drain line won't show up until the following spring well past the time period to get issues resolved has elapsed. This kind of who gives a crap just get our work done attitude is just unacceptable. Not only from the contractor, but the ones who actually did the work, as well as the township inspector who was to ensure all work was done properly. 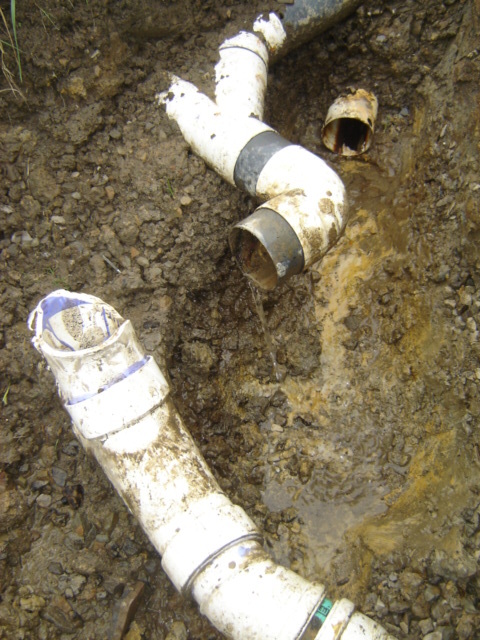 That includes repairing broken lines or rerouting lines encountered during excavation. Every wonder why shortly after a sewer or water line goes down a street many homes go up for sale? Chances are you'll find their basements now flood everytime it rains. The result of a I just don't give a damn contractor. That's the way to do it. As long as the job comes in under budget and ahead of schedule that's all that matters. Just screw the landowner and get it done. 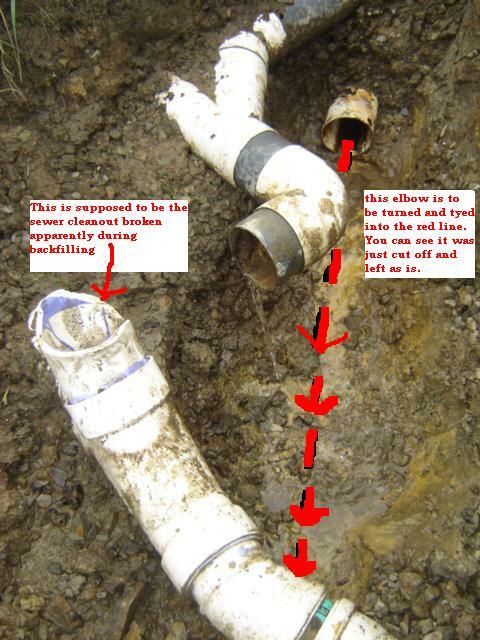 As with many water and sewer projects the results of this shoddy work was not discovered until years later when acquired by a new property owner. As we do put the blame for this shoddy work onto the contractor and his crew some burden also lies with the inspector who had the responsibility of making sure work is done correctly and any problems corrected properly.